Give Some Credit Where Credit is Due. Now on to more of the story…. Invaribly, the first thing a person really sees when they look at my frames is the HT decal art. I have pal Rob O. to thank for pulling that off. Rob is a graphic designer for one of the big NY publishing firms we’ve all known our whole lives. He’s also a perfectionist, which I’m thankful for. Rob and I met in Doug Fattic’s framebuiding class, and also on a working vacation like I was. Crossing paths with R. was a blessing. I count my blessings daily and I’d like to tell the story of how the design of the decal art went down. I knew if i was going to build a few frames I wanted them to look pro, be something I was proud to show. Having a frame with only paint didn’t sit right to me. I built my first couple frames and used vinyl stickers, but that’s not a great solution for a bike. Here is where R. comes in. He simply offered to help me. I had these ideas that a graphics package should say something about the builder. It should tell something. Some frame builders use a state flag or a favorite state roadsign; I wanted something similar but to go deeper. At the time I had a fully blooming Orange grove with probably 50 trees. I wanted that to be the theme. The idea that one guy was crafting frames one at a time, shut off from the world with a shop surrounded by oranges was the image I wanted(the freezes and my lack of farming skill ended the gentleman farmer, I’m down to 6 trees.). 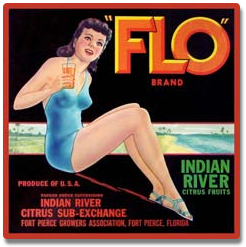 I also like the old art and type face you might see on a 1930’s era orange crate or the Art Deco typface on a 1930’s Art Deco Welcome to FLA post card. When R, started designed the HT badge we tried to use art in the public domain, but the programs used to create the decals would not support that and for reason beyond my expertise a hand drawing was started. When I saw the final copy I was stunned. 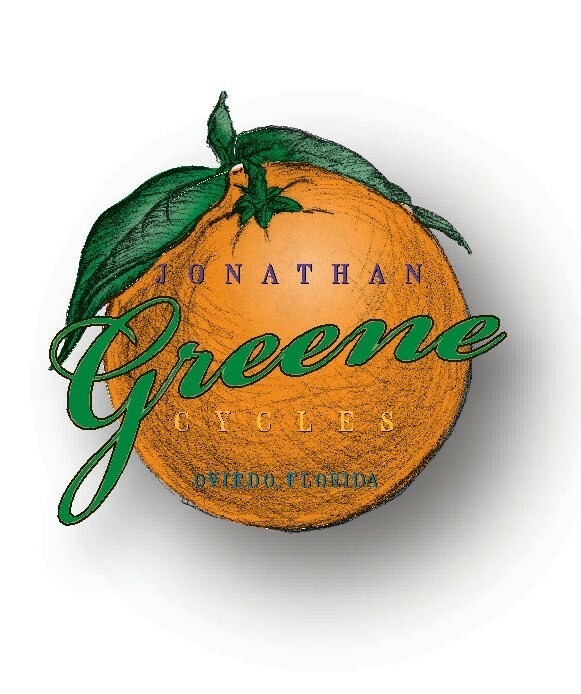 The orange had shading and a shadow. Did this guy really think my frames were worthy of a Cezanne like Orange on the HT? I guess so and we went with it. It’s become the discusssion piece whenever anyone wants to talk. Thanks R!